Aayush Sharma and Warina Hussain starrer Loveratri official trailer out! Home Actors Aayush Sharma and Warina Hussain starrer Loveratri official trailer out! Salman Khan’s brother-in-law and Arpita Khan’s husband Aayush Sharma is ready to make his debut in Bollywood. The official trailer Aayush Sharma and Warina Hussain’s debut film Loveratri has been released by Salman Khan. The film is directed by Abhiraj Minawala and is set against the backdrop of the popular nine day long festival known as Navratri in India. Loveratri has been extensively shot in Gujarat and also stars Ronit Roy and Ram Kapoor in important roles. Warina is seen playing the role of a girl who comes to Gujarat to enjoy the Navratri festival and eventually meets Aayush, who plays the role of a garba teacher. The trailer has shown how love blossoms between the two and it seems like the entire film is filled with fun moments, dance, excitement, romance and action. Arbaaz Khan and Sohail Khan are also seen in a cameo role as Gujarati cops. Salman also shared the new poster of the film in which Warina and Aayush are seen showing their back and walking away from each other. The Dabangg star tweeted with the poster, “Kuch hi ghanton mein.. shuruhone wala hai Kya ? 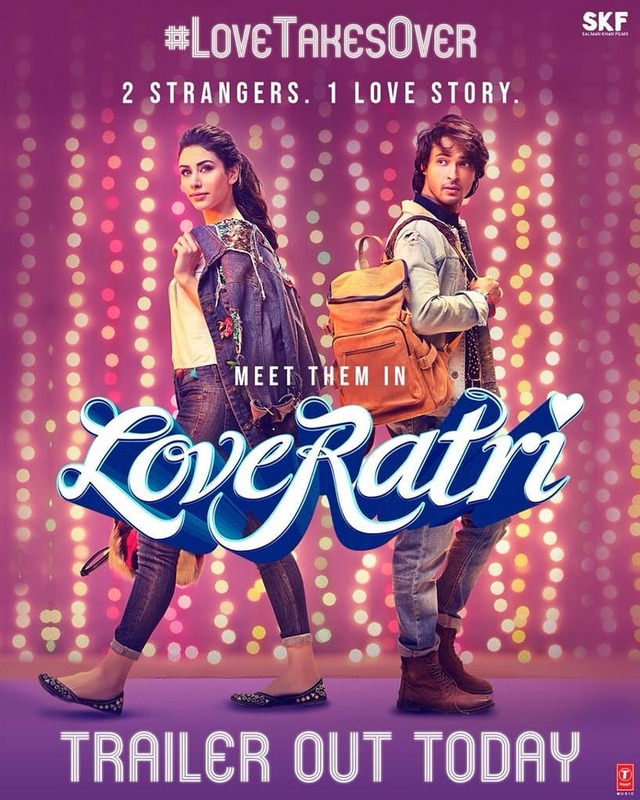 #Loveratri ! Kyu ? bcoz #LoveTakesOver! Kaise ? #LoveratriTrailer kesaath! So be there . @aaysharma @warina_hussain @skfilmsofficial @tseries @abhiraj21288”. Loveratri is ready to be released in theatres on October 5, 2018. Previous articleHelicopter Eela official trailer out now!